There’s such pleasure in making a birthday cake for someone special. this time fresh eggs, premium cocoa, decadent chocolate. Buttering and flouring pans that await the luscious batter. Gathering the mise-en-place, the pleasure of order and readiness. the alchemy that transforms disparate ingredients into deliciousness. and then from cakes cooling on the counter. 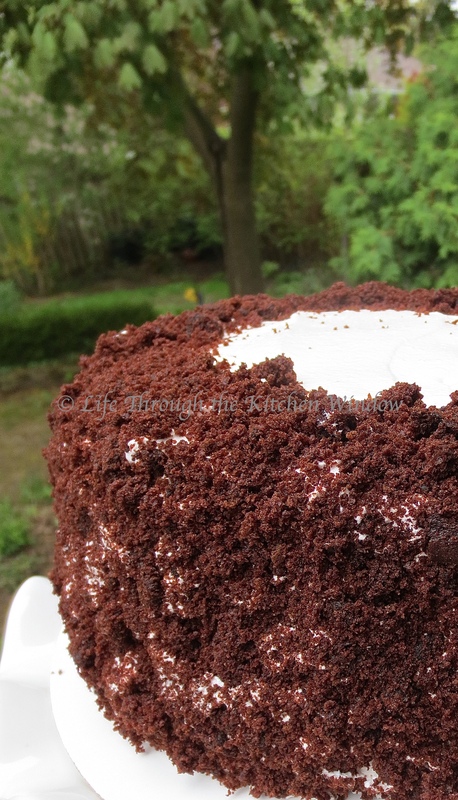 The recipe for Devil’s Food White-Out Cake is in Dorie Greenspan’s Baking: From my home to yours, page 247. This is a beautiful book for your own collection or for gifting. A magic post Mar….not a post …pure ART!! Wow, what a wonderful comment to receive! Thank you. Looks Great! I’ve never seen anything like it, will have to try! It is a pretty eye-catching cake, isn’t it! Let me know how yours turns out! Thanks for stopping by and commenting. What a great post, love it! and the cake too very delicious!! Now that is one beautiful cake, Mar, just like this post. Both are truly special. Well done! Thank you, John. Have I mentioned that I always appreciate your comments (even when you complain about the rhubarb!)? A perfect cake for a wonderful occasion – a birthday! There’s just something happy about a birthday cake, don’t you agree? Such a symbol of celebration for a special someone on the day that is uniquely theirs (well, and everyone else’s who was born on that day!). Glad the cake caught your fancy! 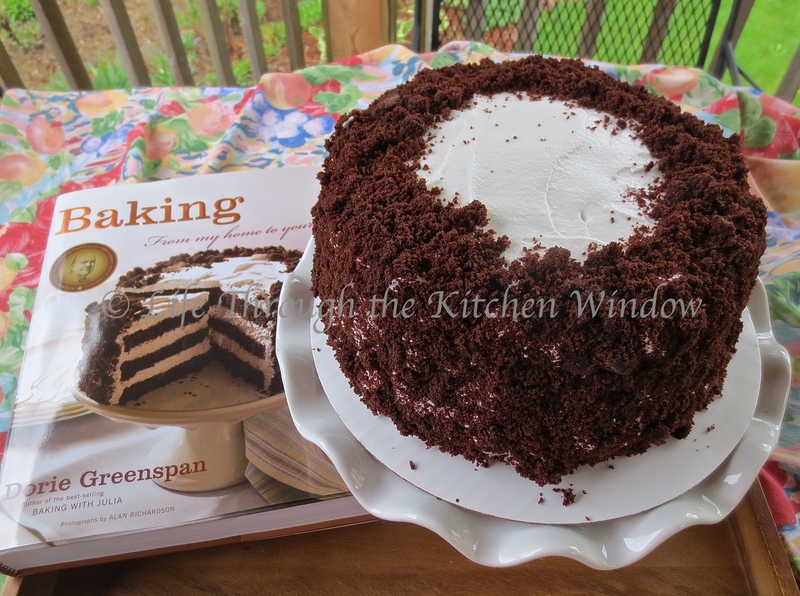 It was a lovely recipe, Kay, and Dorie Greenspan’s book is beautiful. I’ll be making more of her confections. 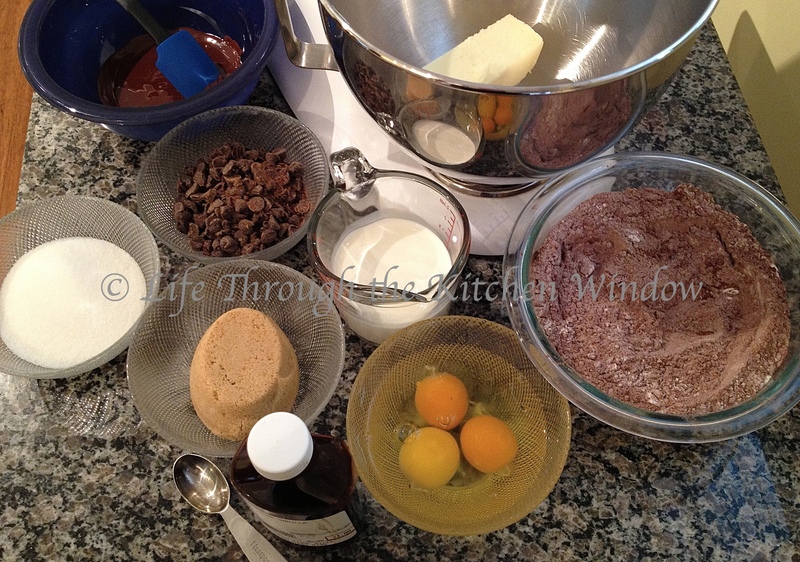 Anne, I find cooking and baking to be a good stress reliever. Maybe you could start small, with a batch of cookies or brownies, and see if it helps. Lovely as this cake is, I wouldn’t start with it as it’s not complicated but somewhat involved, if you know what I mean. I’m glad you like the looks of it! Spectacular cake and a wonderful description of the almost therapeutic process.